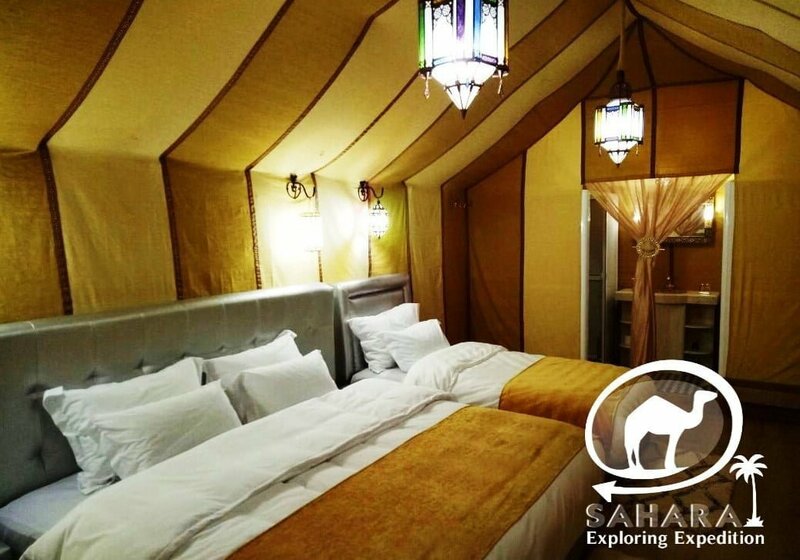 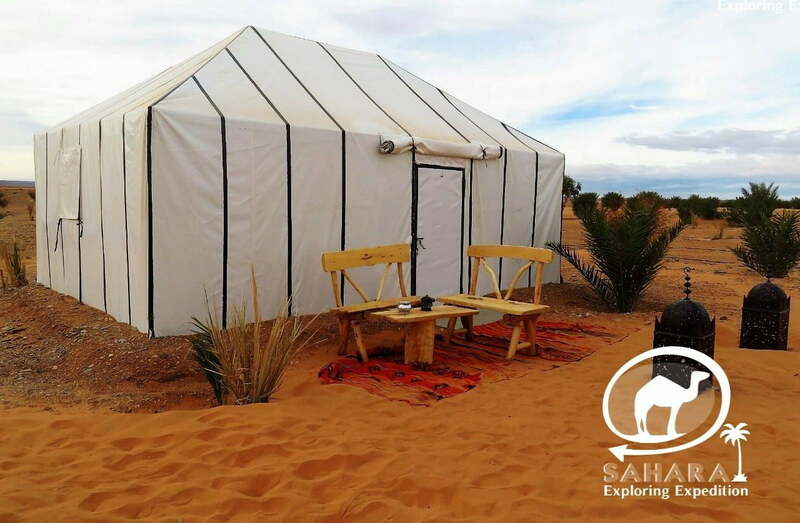 This unforgettable luxury camping tent is located in Merzouga Desert ( Erg Chebbi dunes), Morocco and can accommodate 26 guests. 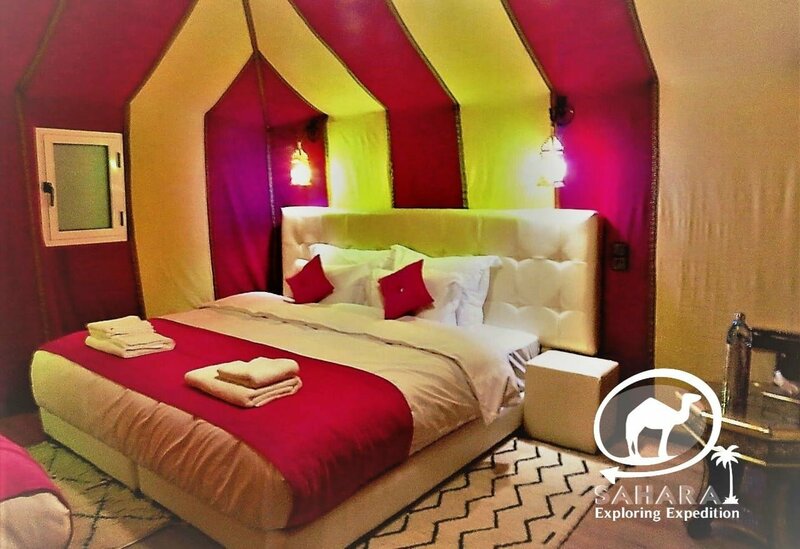 The tent features modern comforts with old-world charm and an attached bathroom. 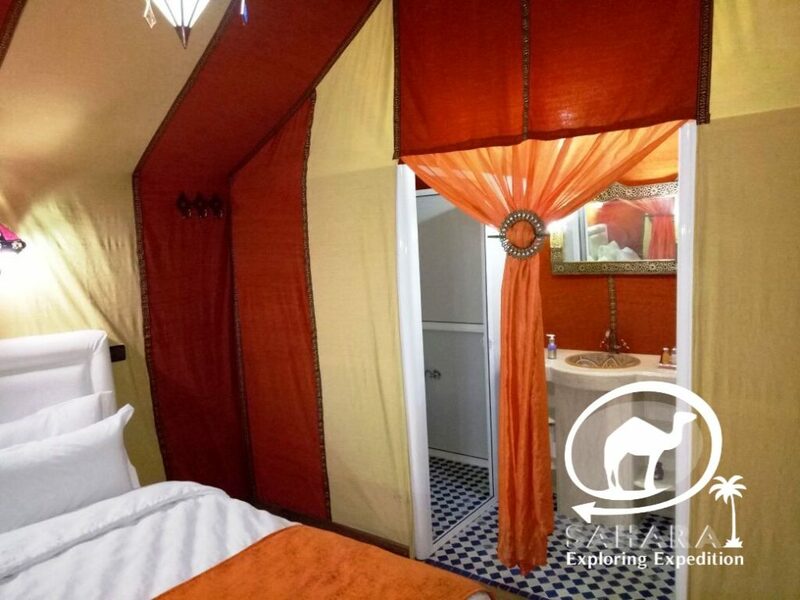 In the full bathroom, guests will find a toilet, and a shower. 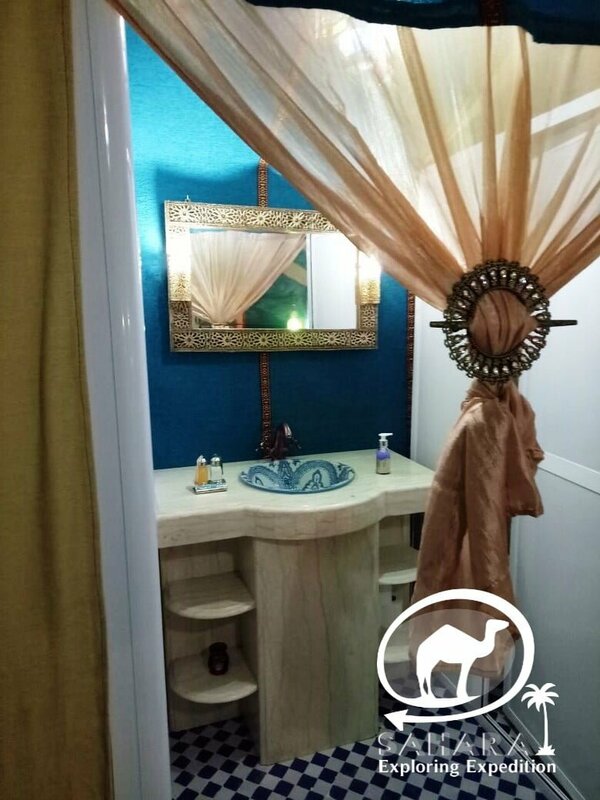 towels, shampoo and shower gel are provided. 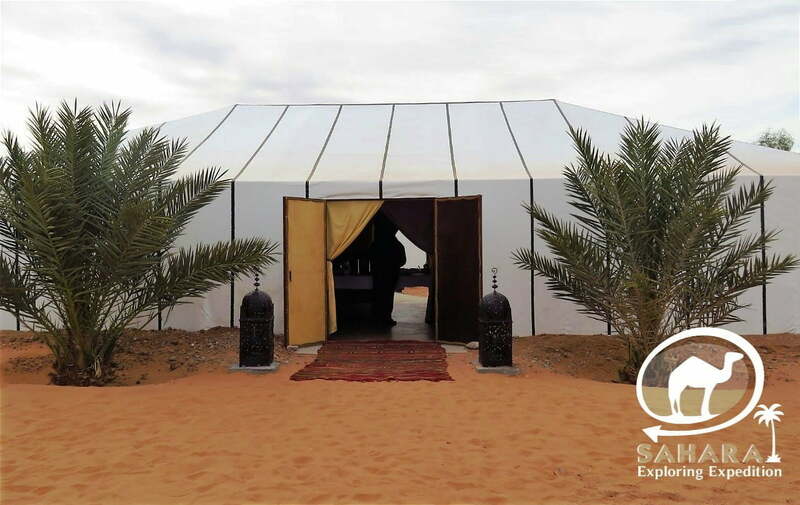 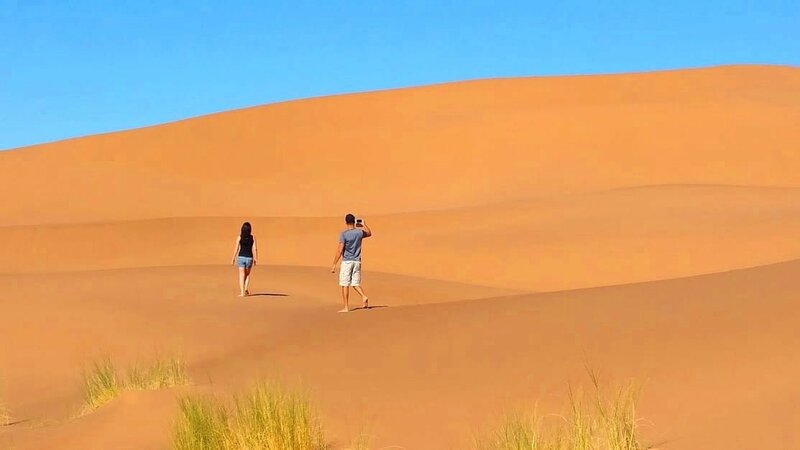 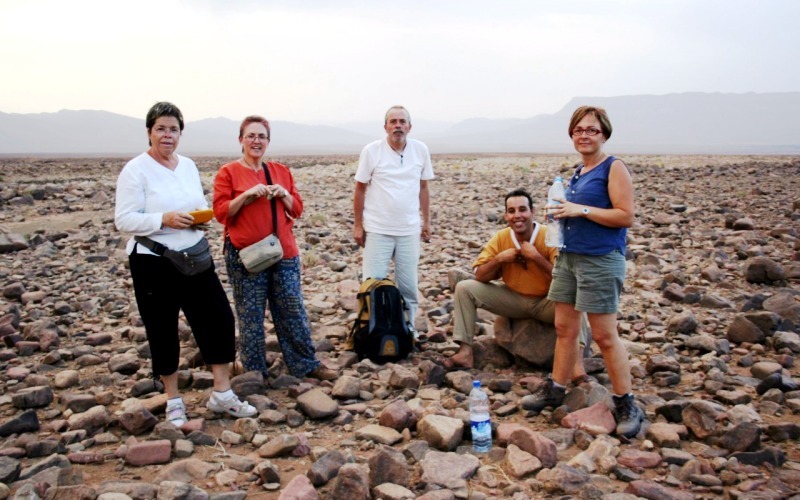 Simply one of the most exclusive desert camps in the world. 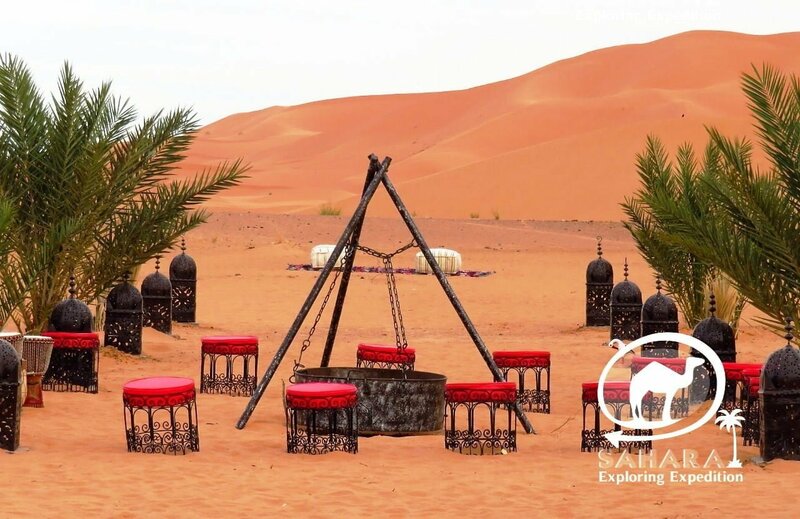 We set up a table and chairs for a once in a lifetime feast in the desert. 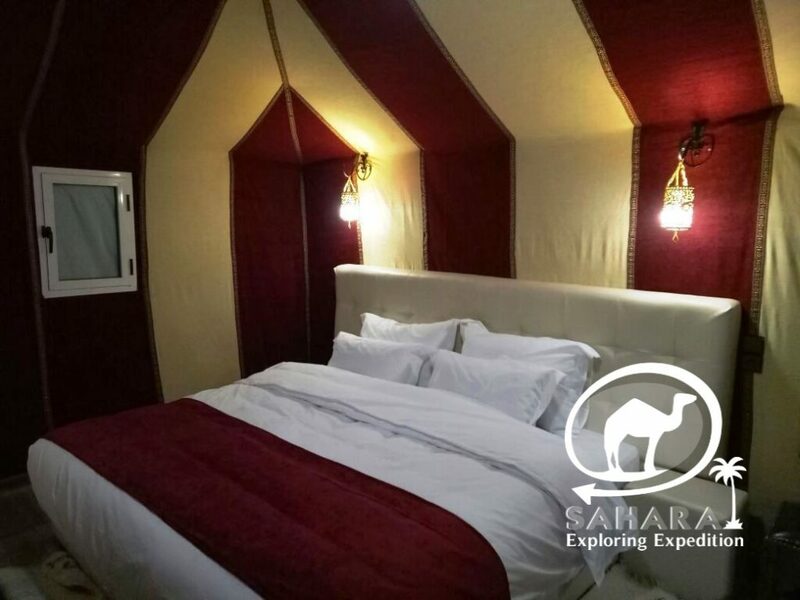 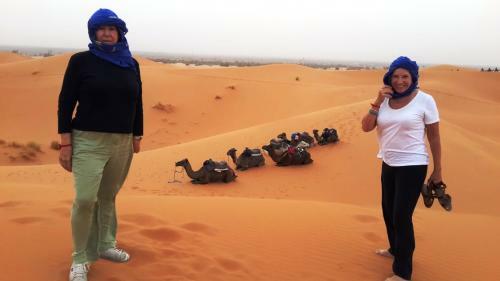 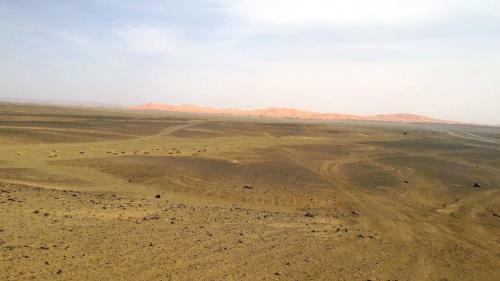 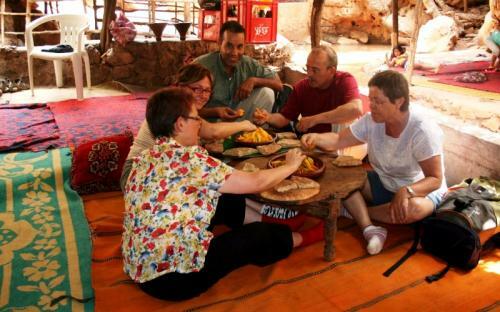 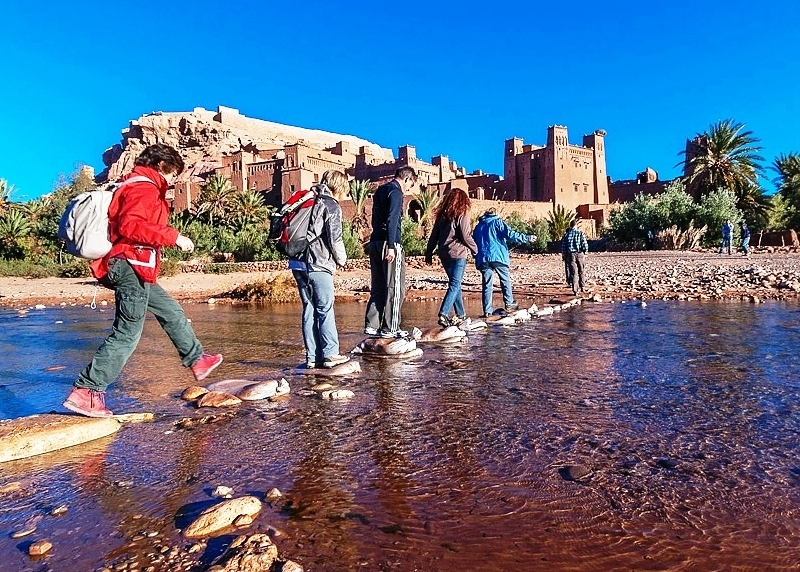 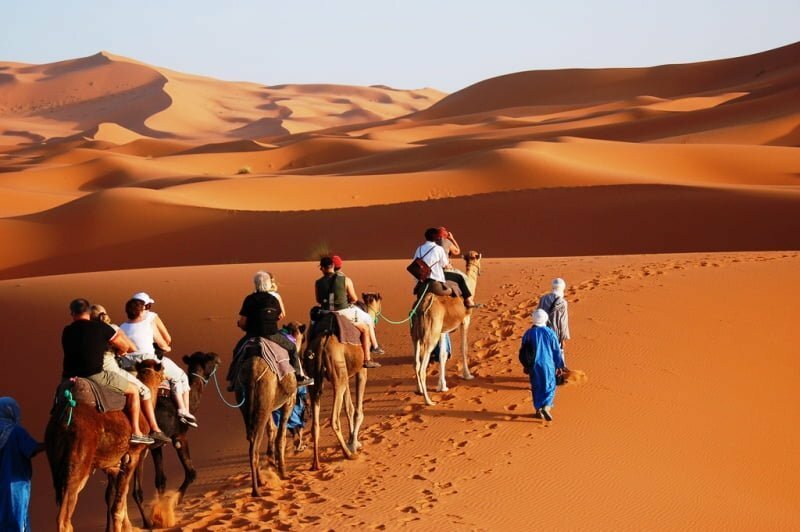 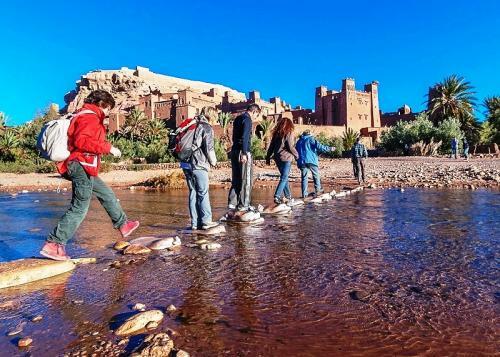 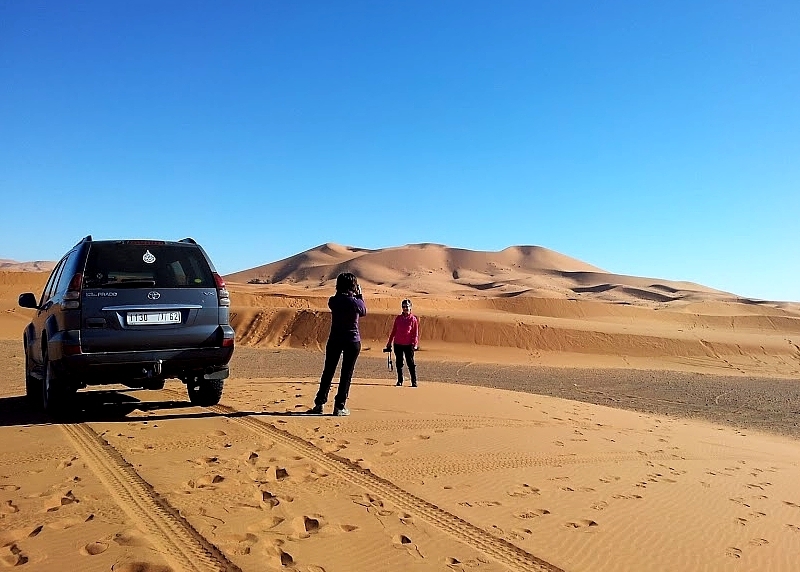 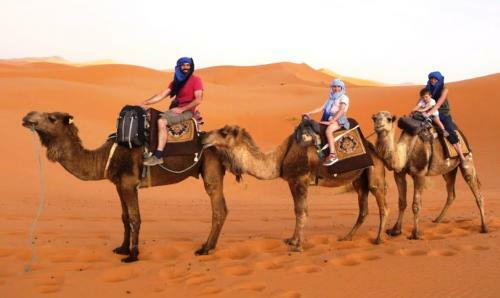 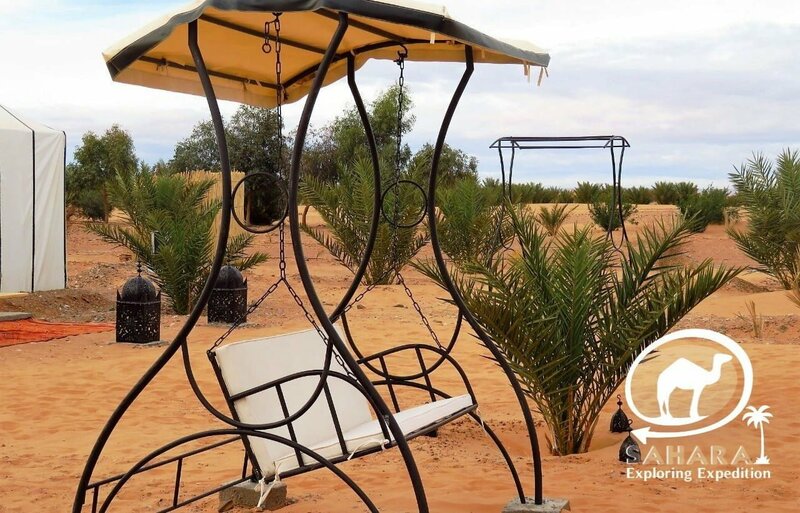 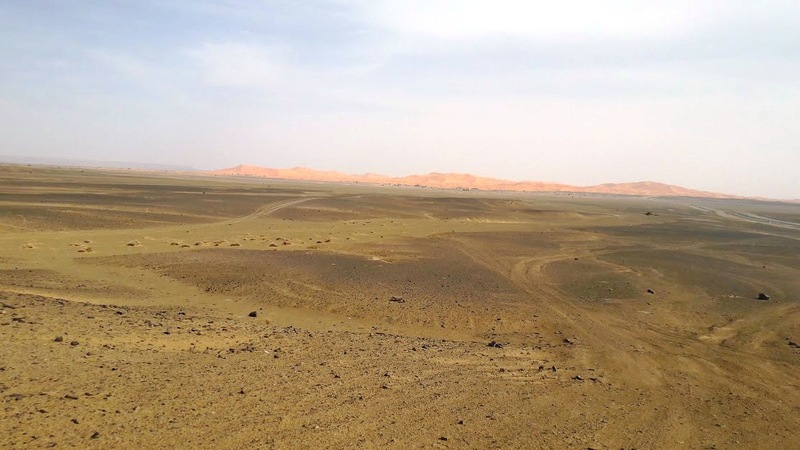 Do not hesitate to ask for a stay in our luxury bivouac in Merzouga.